If time is not on your side, we’ve got your back covered. After carefully looking at various models on the market, we’ve concluded that the best spot-on flea treatment you can choose is the Frontline Plus Flea. The product is recommended by many veterinarians because of its ability to produce long-lasting and fast effects. Moreover, it is suitable for dogs aged eight weeks or older. Easy to use, the treatment provides a 3-step application process. If you find out that the Frontline Plus Flea is out of stock, another great option is the Bayer Animal Health K9 Advantix II. The highly effective formula will remove flea, lice, flea eggs, and ticks from dogs and puppies no matter the breed. It should only be used on dogs that are 45 to 88 pounds aged 8 weeks and older. Applying it only takes 3 fast steps. While this option is advertised to work against ticks, some customers have reported they still found some ticks on their pet. 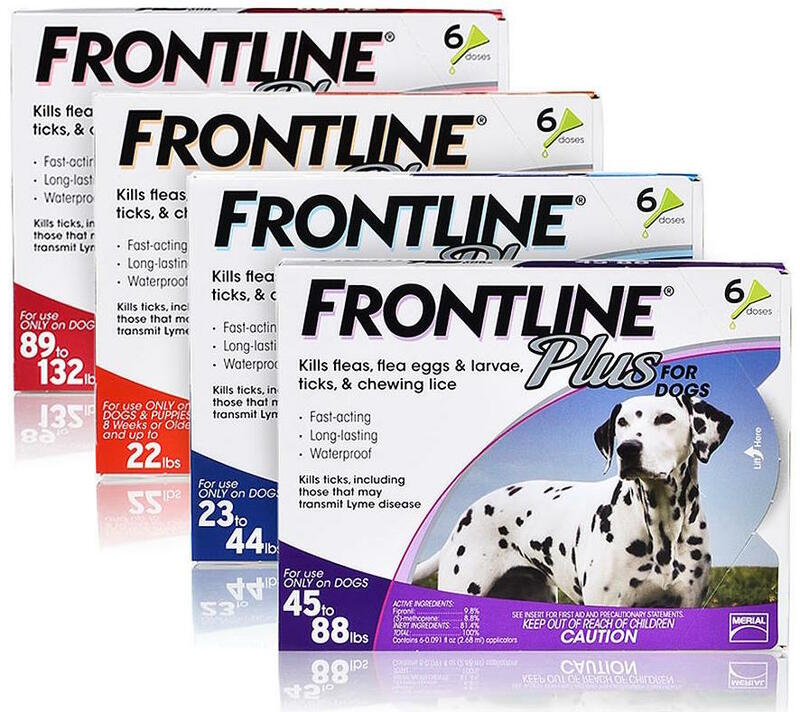 The Frontline Plus option offers fast-acting and long-lasting protection, killing fleas within the first 12 hours of application. Once applied, the formula will keep pests away from your furry companion for 30 days. While other options kill the fleas once they bite the skin of your beloved pet, this option will kill fleas and ticks through contact. It can kill all flea life stages and it is recommended to use on dogs that are 7 weeks or older. 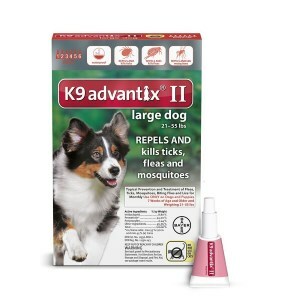 Customers have reported that this formula does not seem to work on mosquitoes even if the manufacturer says it does. With veterinarians recommending this formula to their customers, you can be sure that you are getting a high-quality option. 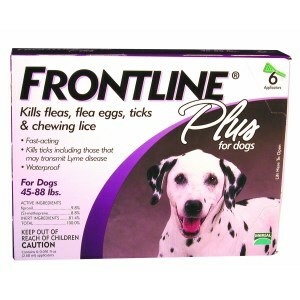 It starts killing fleas within 10 minutes and it is completely waterproof, making it ideal for active dogs. This option utilizes a formula that will kill fleas within 12 hours of initial application through contact so that fleas don’t have to bite to die. It will also prevent fleas on a treated dog from infesting your home, and it is also waterproof. 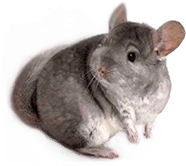 It does appear that the recommended dosage does not work on heavily infested dogs or pets that have long and thick fur. 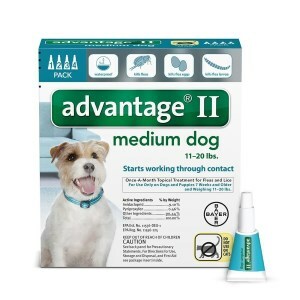 The Bayer Advantage II is a high-performance option that is capable of killing both fleas and their eggs and larvae. It is also safe for your pet since unlike oral medication, the fleas won’t have to bite for the formula to kill them. Say goodbye to fleas and ticks because this spot-on treatment is a great solution if your puppy is in pain. Suitable for killing all sorts of pests, the product removes fleas, flea eggs, lice, and ensures control over ticks, including the ones that are responsible for the Lyme disease. Just make sure you read the label carefully because this treatment applies to dogs aged eight weeks and older. One important aspect is this flea treatment is highly recommended by many veterinarians. It’s an excellent option if you want a fast and long-lasting solution that keeps your dog healthy. You don’t have to worry about the application process because this topical treatment comes with a detailed 3-step explanation. After one single dose, the product will kill the majority of the existing fleas in less than 24 hours. If you continue the treatment, you remove any future risks.For great results, you should use it on your dog for at least one month. We all know that dogs are active beings that like to adventure into the unknown. The second you leave your dog run free, he will find a way to get infected with fleas and ticks. You can rest assured that your dog will be safe and sound if you use this topical treatment. It is specially designed to kill anything from fleas and ticks to mosquitos and lice. No pests will try to get near your dog because this spot-on treatment is extremely effective and can be used as a prevention method. Apart from this, the product kills the fleas no matter their life stage. Veterinarians recommend this treatment because it’s completely non-invasive and provides fast and reliable results for every dog. Quite easy to apply, just use the indicated dose on your dog and puppy. Once cured, apply a monthly treatment. Make sure you read the information provided by the manufacturer because the product is intended for dogs aged seven weeks or older. Fleas don’t stand a chance with this genuine killer because the product is manufactured to help dogs get rid of flea larvae, eggs, and chewing lice. Even if the pests are in their early stage of life, this spot-on treatment can kill them all. Also, if used properly and continuously, you prevent your dog from getting nasty fleas again. After the initial application, you’ll see improvements in the first 12 hours. As a bonus, this treatment can kill reinfesting fleas within 2 hours. Even if your dog hasn’t been bitten, this odorless topical treatment kills every flea through contact, so there’s no need to bite because eventually, the fleas will die. Thanks to the primary ingredient, it attacks the nervous system of the flea, paralyzing and then killing it. The application is comfortable, and the product can be safely used on dogs and puppies older than seven weeks. The dog can swim or have a bath, but the effect won’t diminish. 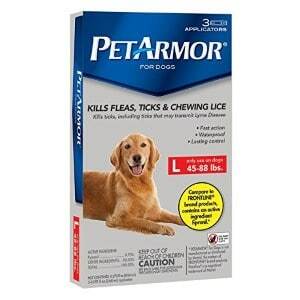 This treatment is guaranteed to do an excellent job of killing ticks, adult fleas, and chewing lice. The main reason why a lot of vets recommend this spot-on treatment is the active ingredient, known as fipronil. This is the best possible solution for dogs infected with fleas. Quite easy to use, this topical product is specially formulated to suit the weight of your dog. So, don’t purchase pricier treatments that are less effective. The product comes with three application tubes that can be applied to dogs and puppies over eight weeks of age. In order to fully benefit from treatment, you need to find out the weight of your dog. It’s vital to know the exact measurements before making a purchase. Apart from this factor, search for the one suitable for the dog species you own. If you have a cat, you need a cat treatment. Then, use the inverted tube to part your dog’s hair and apply the solution on its skin between the shoulder blades. 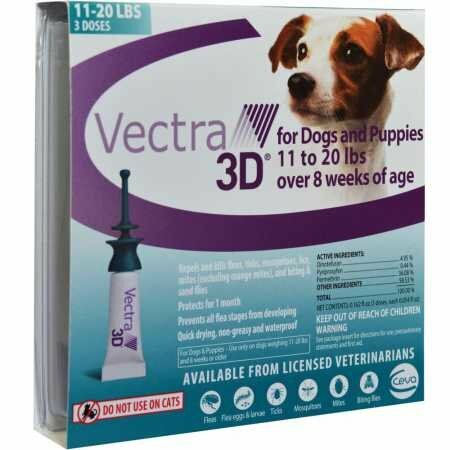 If you’re looking for a product that is both effective and fast, this formula from Vectra 3D is worth considering. Ideal for dogs and puppies over 8 weeks of age, the product will protect your pet from pathogens and parasites by killing them quickly. The treatment reduces flea feeding in 5 minutes and kills on contact. What’s more, it is effective even after bathing and swimming. It will kill and repel ticks, lice, mites, mosquitoes as well as biting and sand flies. The product was not only formulated to prevent, control, and stop flea infestation but also to prevent re-infestation. That’s why the pack contains 3 doses that will meet your needs for a longer period of time. Besides being an effective treatment, Vectra 3D is also easy to use and dries quickly. It is intended for dogs weighing 2.5 and 20 pounds but this manufacturer offers versions for heavier dogs as well. Dogs have fleas. The rule of the thumb is that where one flea is, you can expect to find a thousand more. They spread fast and can multiply within a few days. Even though they are not so harmful as ticks, dogs are prone to developing an allergic reaction caused by flea bites. Fortunately, there are many good spot-on treatments for sale that specifically designed to protect your puppy from them. If you’re in the market for a good flea treatment for dogs, you should keep on reading the following lines. Firstly, you need to learn a few useful facts about these awful pests. Fleas, along with ticks, are incredibly dangerous ectoparasites that steal the supplies from their feeding source, in this case, dogs. If you find a flea on your pet, you must take care of and treat your dog immediately. These cause severe irritation along with itches and even fatal diseases. Some of these can have an effect even on humans which is why you need to be extra careful when handling your dog. Depending on the climate you live, you need to use the best flea drops for dogs more often or not. For example, if you live in a cold area, there’s really no need to use prevention products so frequently because fleas don’t like cold. On the other hand, warmer climates are the ideal spot for fleas to proliferate. Generally, you’ll find three different types of flea treatment for dogs available in pet stores. It’s important to determine which of them suits your little friend better. There are medications that remove only the worms while others are quite useful for taking care or ticks and fleas combined. You can get flea pills that are administered orally, but they need a prescription from your vet. Keep in mind, though, that these can have side effects. Make sure you target either the flea eggs or the adult fleas, never both of them. Apparently, the flea pills are quite efficient and can kill the fleas within a few hours. Give them to your dog using the medical scheme provided by the vet. 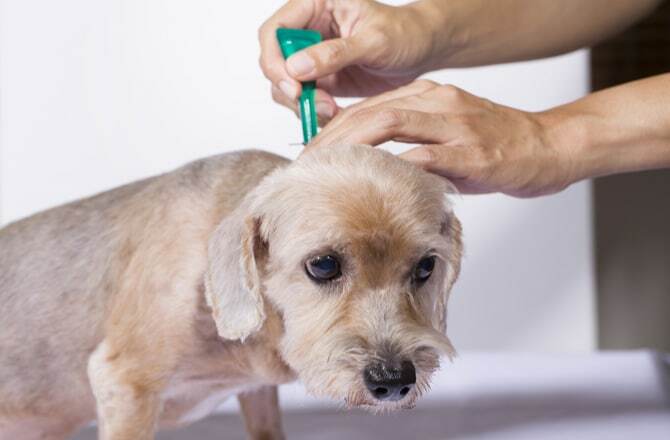 Another type of treatment consists of topical medication such as shampoo or other spot-on treatments that can remove the fleas in a certain amount of time. Shampoos usually have a full effect after 24 hours, and the flea powder needs to be applied at least a week for great results. The vast majority of spot-on flea treatment reviews recommend using these shampoos and powders in combination with flea pills. The major advantage is that topical treatments are effective at destroying fleas and all sorts of parasites. To prevent your canine friend from getting fleas, you can always use a dog collar that gets rid of eggs with the help of a chemical released on your dog’s skin. Every dog owner should be aware that there are certain methods to use the flea treatment in proper conditions. Before using any spot-on flea treatment, learn about your dog or puppy weight. Besides, read the label and see if the product is suitable for your dog’s age. There are brands that sell treatment that feature age restrictions such as eight weeks.